RXCSF is looking for a volunteer to take over the duties of Treasurer. Our current Treasurer will work with a new volunteer to smoothly transition the role. Contact RXCSF to learn more. For kids ages 3 thru 14 ~ It’s not too late to join! 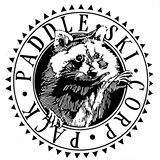 Any Youth, anywhere this page reaches: Join us ANYTIME for the 2016-17 season – we welcome any skiers 8th grade and under, whether you’ve skied before or not! You asked for it, you donated, so YES, there is a Port a Potty in the Harriet Hollister Spencer parking lot for the months of January and February!